The compositions of each Board of Director members and/ or Board of Commission members. Performance evaluating policies for the Board of Director member and/ or Board of Commissioner Members. To support the Board of Commissioners in assessing the performance of Board of Director members and/ or Board of Commissioner members based on benchmarks that has been prepared as material evaluation. To provide recommendation to the Board of Commissioners regarding the development capability program of the Board of Director members and/ or Board of Commissioner members. To propose candidates who qualify as members of The Board of Directors and/ or members of The Board of Commissioners to The Board of Commissioners in order to be submitted to the General Meeting of Shareholders. To assist The Board of Commissioners to carry out performance assessments in line with Remuneration conformity received by each member of The Board of Directors and/ or members of The Board of Commissioners. 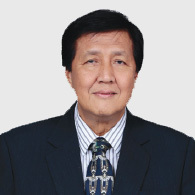 Mr. Reyno Stephanus graduated from Civil Engineering Faculty, Bandung Institute of Technology in 1970 and immediately joined PT Total Bangun Persada (formerly PT Tjahja Rimba Kentjana) as Senior Manager & Development Manager. He was appointed as Director for the 1984-2001 period, Managing Director in 2001-2004, and President Director in 2004-2009. Served as the Chairman of The Nomination and Remuneration Committee in pursuant to the Decree of Board of Commissioners No. : 694/B.6-02/IX/2015dated April 2, 2015, with the tenure of 4 (four) years since their appointment. 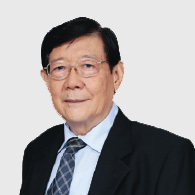 Mr. Pinarto Sutanto has devoted himself to serve the Company since PT Total Bangun Persada was formerly named PT Tjahja Rimba Kentjana in 1976, serving as Chief of Representative in Solo. He has concurrently held the position of Commissioner at PT Total Inti Persada and PT Anugerah Kencana Jaya, as well as President Director of PT Tujuh Pilar Mas. Served as The Nomination and Remuneration Committee Member in pursuant to the Decree of Board of Commissioners No. : 694/B.6-02/IX/2015dated April 2, 2015, with the tenure of 4 (four) years since their appointment. 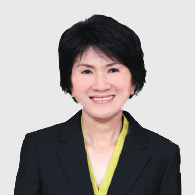 Mrs. Liliana Komajaya obtained her Master of Business Administration degree from Loyola Marymount University, Los Angeles, USA, in 1990. Prior to joining PT Total Bangun Persada Tbk, she had worked at Bank of Trade, Los Angeles as Accounting Staff (1987-1988), Angeles Corporation (REIT) as Portfolio Accountant (1989-1991), PT Bumimas Adhipersada as Project Development Staff (1991-1993), Siloam Gleneagles Hospital as Finance Manager (1994-1996), and PT Jagat Baja Prima Utama as Director (1998-2008). At present, she also serves as President Director of PT Total Inti Persada, Director of PT Jaga Bangunpersada Komajaya, as well as Commissioner of PT Jagat Baja Prima Utama and PT Jagat Konstruksi Abdipersada. Mr. Wibowo graduated from Faculty of Economics, Tarumanegara University, Jakarta, in 1992 after joining PT Total Bangun Persada Tbk since 1991 as a Cash Operations Staff. 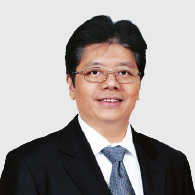 At present he concurrently serves as Director in several companies, which are PT Total Inti Persada, PT Anugerah Kencana Jaya, and PT Karunia Utama Lestari.